The new hit show, Riverdale, has gained a wide fan base. This CW show is prepared to start its second season on October 11. Its ominous story lines, stellar acting, and riveting plot make it a standout in the world of television. Despite the show’s contemporary themes, its origins lie 70 years in the making with the marvelous Archie Comics. 1940s: In 1941, Archie Andrews made his first appearance in Pep #22, a comic published by MLJ Magazines (later renamed Archie Comics). At the time, Superman commanded the comic market. John L. Goldwater, one of the founders of MLJ, believed that an ordinary teenager would attract readers just as much as a superhero. Goldwater created an all-American teen named Archie Andrews, and recruited cartoonist Bob Montana to illustrate Archie and his pals: Jughead, a self proclaimed “Woman-hater” with a voracious appetite, the affluent, sultry socialite Veronica Lodge, true-blue girl next door, Betty Cooper, and self-absorbed Reggie Mantle, Archie’s primary rival for Veronica’s affection. Archie and friends snagged a radio show in 1943 and appeared in newspapers by 1946. These stories were a big hit among teens of the time. Archie Comics have gained renown for the Archie/Betty/Veronica love triangle. Betty made her first appearance alongside Archie in Pep #22, 1941 while Veronica debuted in Pep #26, 1942 in an issue titled “Prom Pranks.” In the latter story, girl-crazed redhead Archie Andrews, who was dating Betty, wrote letters to debutante Veronica, with no intention of mailing them. The letter was mistakenly sent to Veronica, setting the stage for the infamous love triangle that remains a cornerstone in the Archie world to this day. 1950s: Teenage culture dominated the decade. Archie’s gang represented a youth separate from the greasers, rock ‘n’ rollers, and “rebels” portrayed in movies and television. They depicted the typical, clean-cut ’50s teen. Pop’s Chok’lit Shoppe became a familiar haunt for the crew. Stories focused less on the dynamic between the meddlesome teens and their elders and more on the wacky kids themselves! Artist Dan Decarlo joined the cartooning team, and quickly set the standard for the appearance of Betty, Veronica, and numerous other characters. 1970s: During the swingin’ Seventies, Archie Comic sales were climbing higher than ever, and The Archies continued to whip out more hits. Fans consumed Archie merchandise, such as toys, clothing, and dining ware. Archie and his buddies appeared on TV, cereal boxes, and in custom comics. Archie Comics were in as high demand as DC and Marvel, and comic shops began to pop up. 1980s: The Riverdale teens began sporting a variety of fashions, from legwarmers featured in Jane Fonda videos to “new wave” and “preppy” looks. Cheryl Blossom (pictured below) and her twin brother, Jason, boasting more money than Veronica, disturbed the Archie/Betty/Veronica love triangle in Betty and Veronica #320, 1982. Futuristic new titles like “Archie 3000” emerged. Archie and friends appeared on TV as “The New Archies,” donning fresh new looks. 1990s: In the ’90s, the Internet became widely accessible. Fan-favorite Sabrina the Teenage Witch aired as a TV movie and was picked up as a series. Comic book crossovers grew in popularity, and Archie and the gang featured alongside The Punisher, Teenage Mutant Ninja Turtles, and more. The Archie audience grew younger, leading writers to create a more wholesome version of Archie and the gang. New titles included Archie’s Explorers of the Unknown, The New Little Archie Digest, Jughead’s Time Police, Jughead’s Diner, and others. 2000s: Free Comic Book Day was established in 2002, and distributors gave Archie titles to fans free of charge. 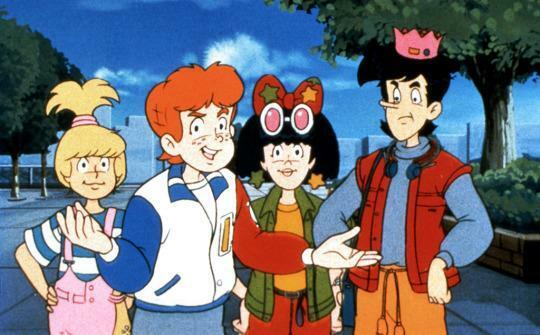 Archie’s Weird Mysteries became a comic series, modeled after the animated show launched in the previous decade. Josie and the Pussycats had their own live-action film. New additions were added to the comics, including an alternative boyfriend for Betty. The Veronicas became a real-life musical duo. The immensely popular “Archie Marries” series was created in this decade. 2010s: Over the past 70 years, Archie Comics has grown to be a lovable collection of stories for young and old alike. Archie’s success was recognized by the United States Post Office in 2010, when he and his friends were featured on a stamp. The Life With Archie Series, which follows Archie into adulthood, is one of Archie Comics’ most successful titles. In Veronica #202, Dan Parent created Archie’s first openly gay character, Kevin Keller. In 2013, MAC stores sold an Archie’s Girls makeup line, with palettes and lipstick inspired by the wholesome Betty and sophisticated Veronica. Recently, Archie Comics has been revamped in a new show titled Riverdale, which is about to begin its second season. Created by Chief Creator of Archie Comics, Robert Aguirre-Sacasa, this show offers a dark twist on the traditional, all-American comic series we know and love. It’s been a great 70 years with Archie and the gang. Here’s to another 70 years full of surprises and shenanigans with Archie! Bloom, Vic, and Montana, Bob. The Best of Archie Comics. Archie Comic Publications, 2011. 6, 7, 56, 57, 106, 107, 174, 175, 238, 239, 300, 301, 342, 343, 372, 373. Gorelick, Victor, et al. The Art of Betty and Veronica. Archie Books, 2012. 25, 40, 52, 80, 100, 120, 140. Next ›Review: Carmela Ice Cream Co.